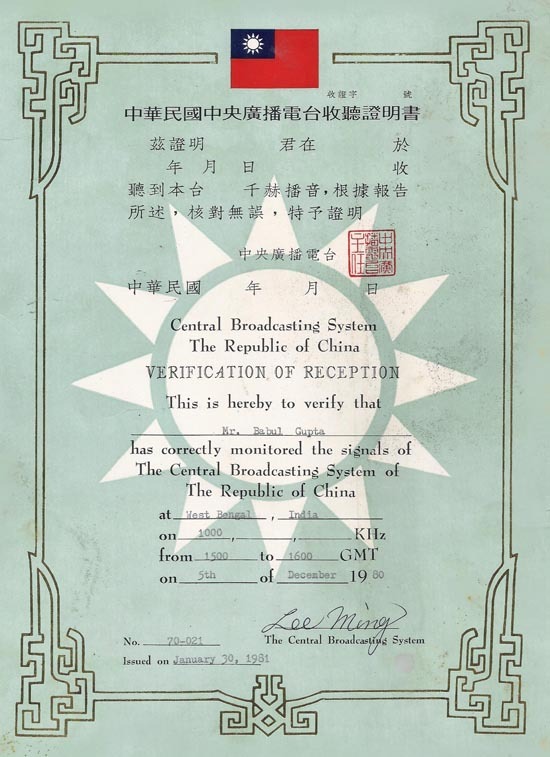 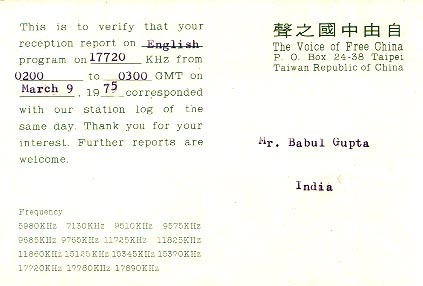 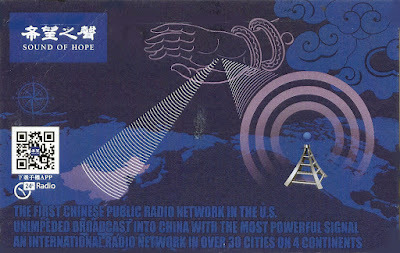 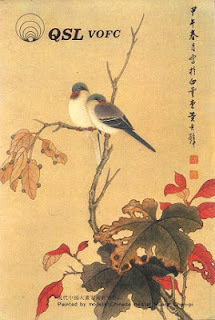 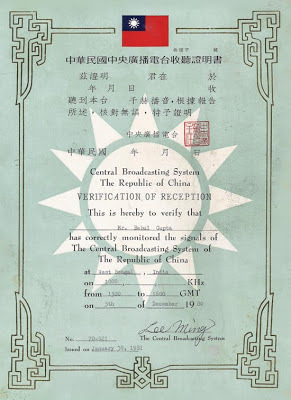 Voice of Free China: 17720 kHz, 0200 hrs to 0300 hrs GMT monitored this station on 9th March, 1975. 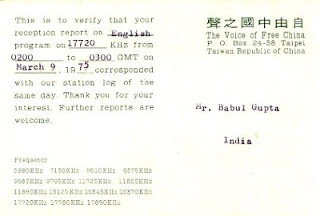 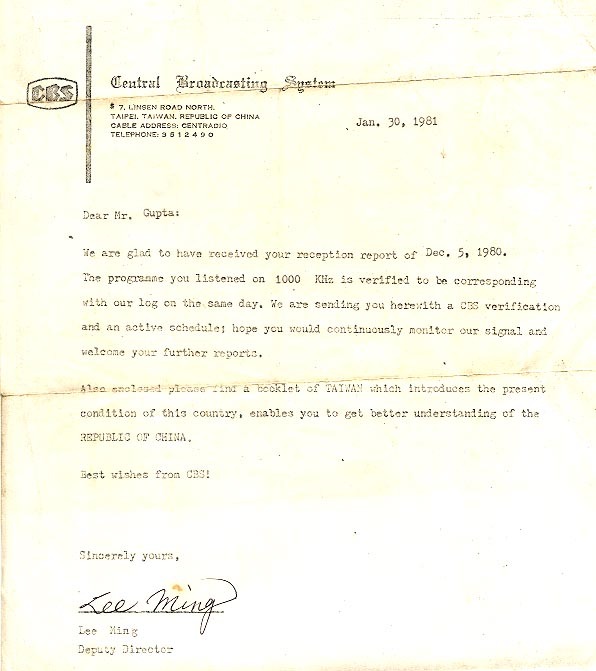 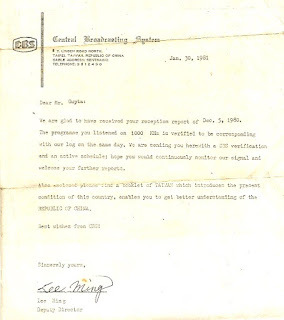 GMT log this station on 5th December, 1980. 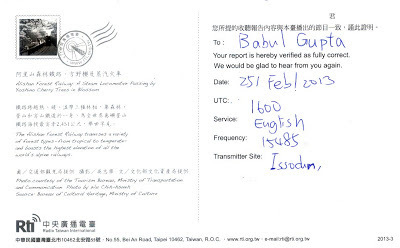 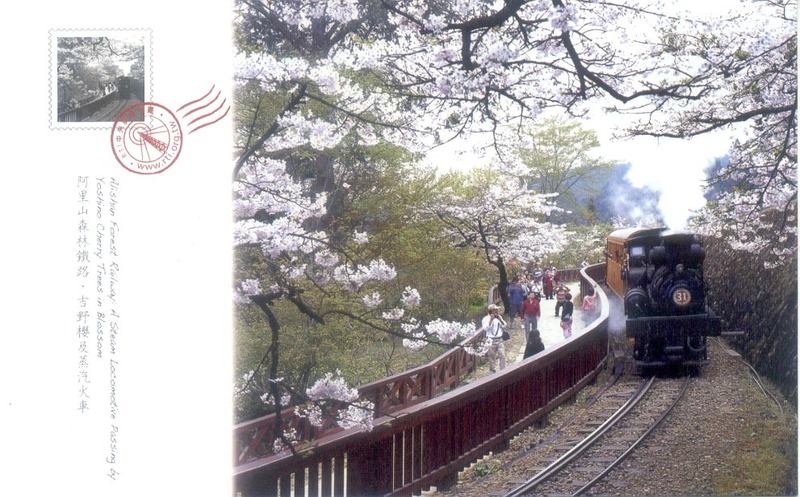 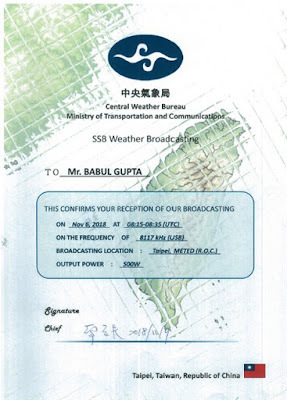 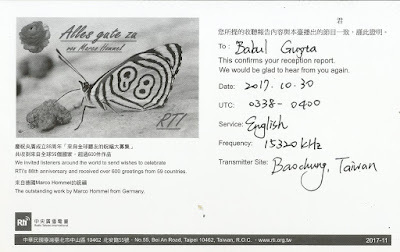 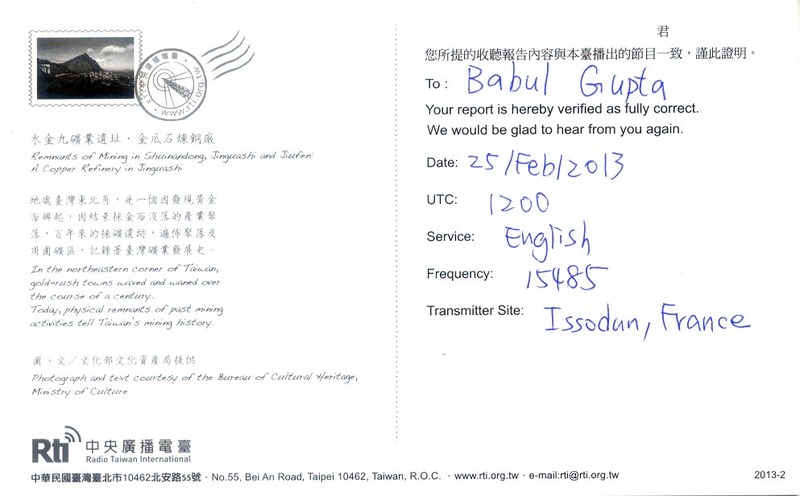 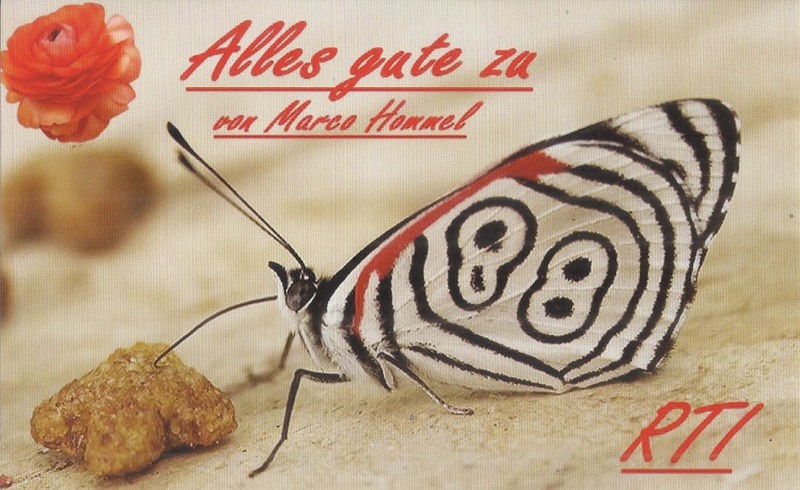 1600 hrs UTC log on 25th February, 2013 and f/d QSL card arrived on 3rd May, 2013 for Email report. 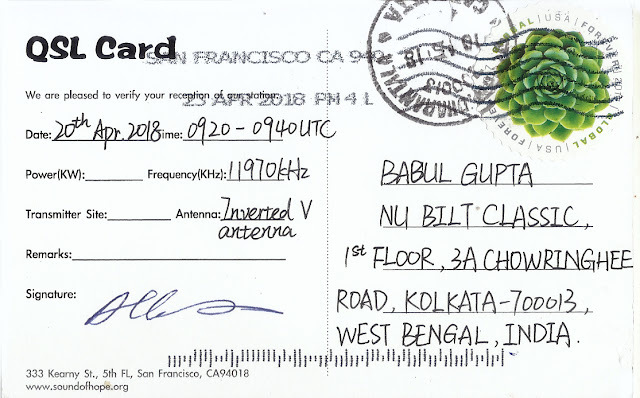 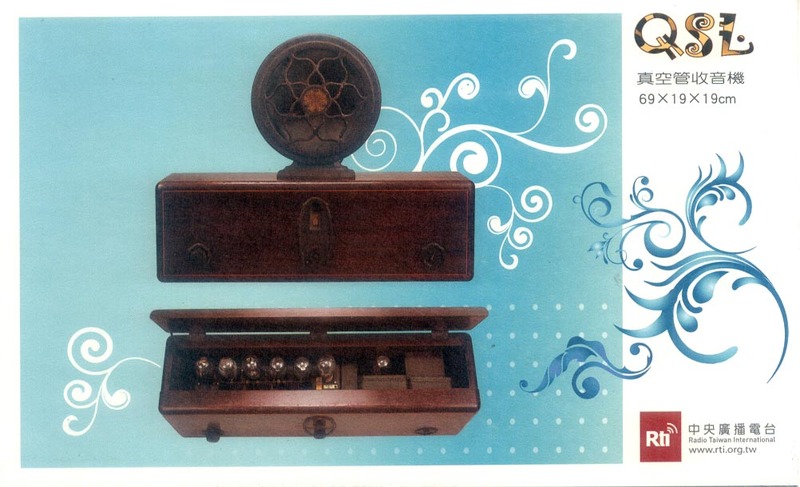 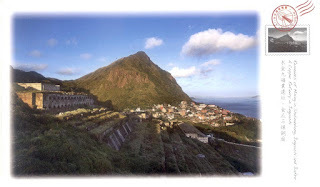 1200 hrs UTC log on 25th February, 2013 and f/d QSL card arrived on 3rd June, 2013 for Email report.